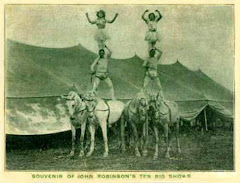 Stories You've Never Heard .... Until Now! 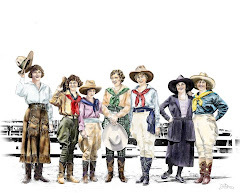 About the women who redefined the west. 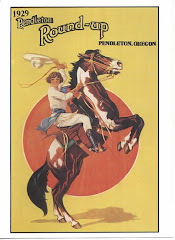 held at the 1910 Pendleton Round Up? 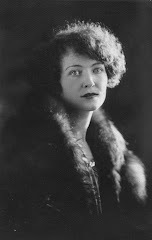 In 1910, Florence Adams lived in Pendleton, Oregon and worked as a clerk for the local Western Union office. 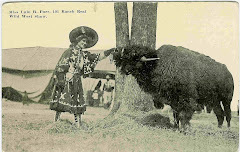 She and her brother were excited and ready to enter the contests in the first ever, Pendleton Round Up. 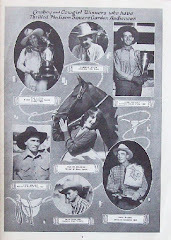 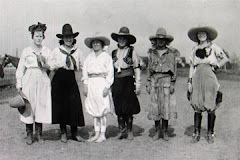 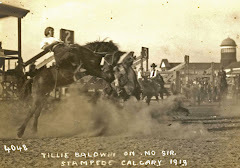 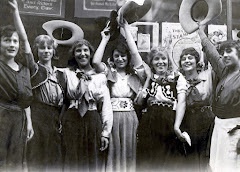 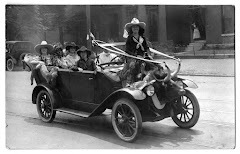 Her brother was competing in the cowboys bronc contest and Florence had just won her event, the cowgirls cowpony race, racing against the best in local talent as well as a few professionals to come in to town for the inaugural celebration. 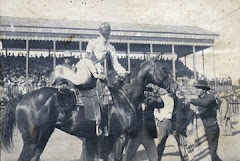 Florence found her way to the arena to watch her brother and other cowboy competitors set to ride the range fresh broncs and prepared to whoop and hoorah her brother on to victory. 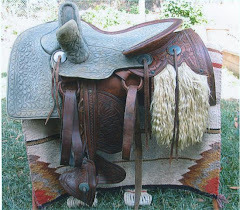 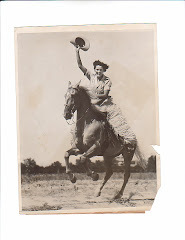 After several cowboys tried to ride one mean bucker with no success and finding himself on the arena ground picking grass from his teeth, Florence looked over toward her brother, winked and said, "I could ride that bronc!" 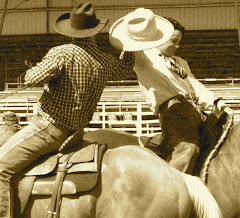 This bit of innocent teasing went on with each unsuccessful bronc rider until her brother and the other cowboys could stand it no more! 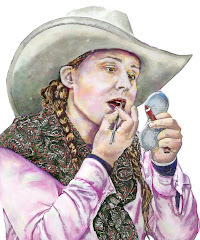 The embarrassed cowboys finally took her up on the challenge believing they would get a good laugh when the girl came flying off the bronc they could not ride. 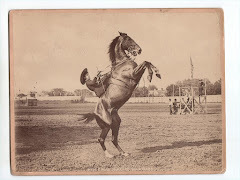 Florence was up to the challenge and walked out to the bronc already blindfolded and climbed into the hurricane deck of this hot, angry horse who wanted to pitch any and all takers off his back. 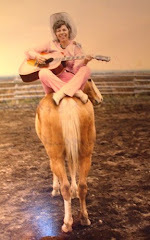 It had been his morning to do just that. 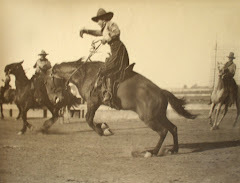 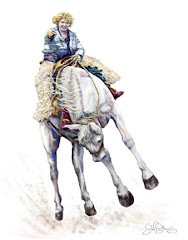 Florence rode that bronc, not eight seconds, as rules call for today but, Flo rode that bucking, pitching, angry bronc for fifteen minutes and to a standstill. 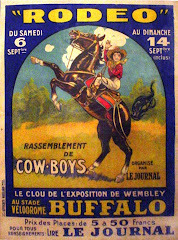 The cowboys, including her brother were silent. 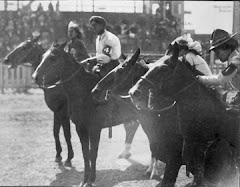 The judges, on the other hand, were not silent. 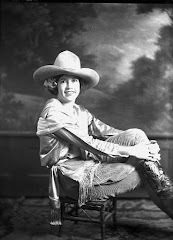 they told Florence she did not win the cowboys bucking contest. 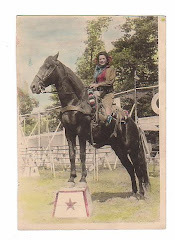 She couldn't win because she was a cowgirl and not a cowboy and therefore, she wasn't qualified to enter. 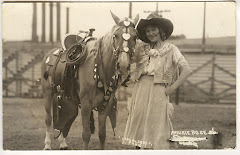 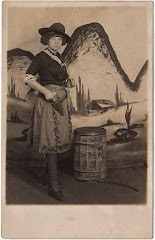 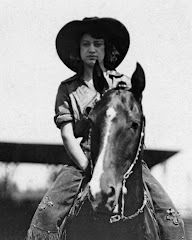 Here is a photo of the unlikely cowgirl and bronc rider, Florence Adams before she left Pendleton. 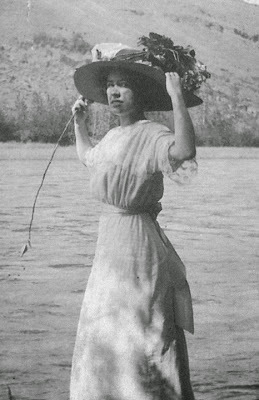 Her story doesn't end there. 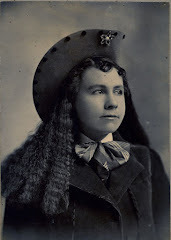 Hell, she is just getting started in making her poignant mark and adding it to the history of remarkable women of the west. 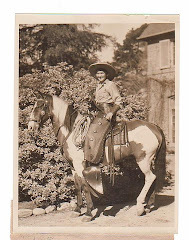 All stories, images, photographs, and videos are © Shirley Morris, All Rights Reserved. 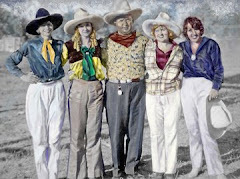 Reproduction is strictly forbidden without prior permission. 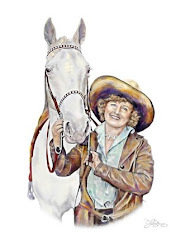 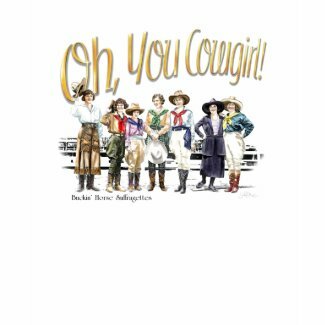 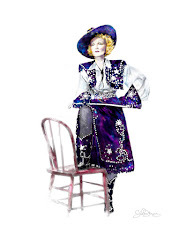 Visit The New Zazzle Store - Oh You Cowgirl! 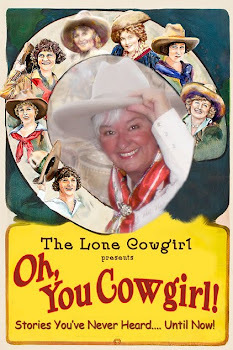 Folow The Lone Cowgirl Presents! 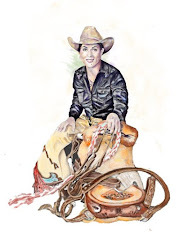 All text, photos, graphics, artwork and other material on TheLoneCowgirl.blogspot site are copyrighted and may not be published, broadcast, rewritten or redistributed without permission. 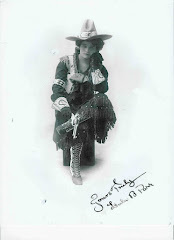 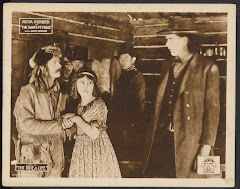 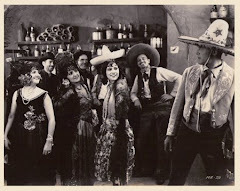 This famous cowgirl worked with Ken Maynard and Douglas Fairbanks in several films. 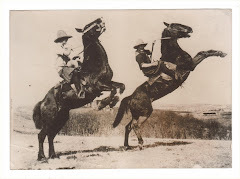 "Canadian Cowgirls Caper On Wild Horses"